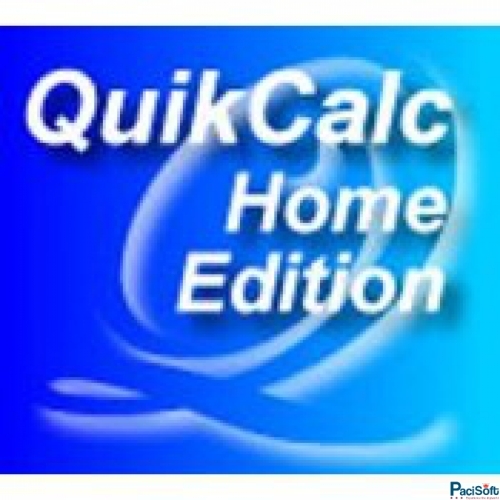 QuikCalc Home Edition includes all of the features you need to generate basic, accurate amortization schedules. 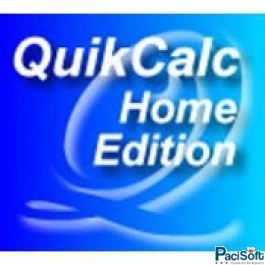 Save money by getting only what you need with QuikCalc Home Edition. If you need more complex schedules or loan tracking, check out the Plus! Quickly and easily create accurate amortization schedules that show you the principal and interest breakdown along with running totals of interest paid plus remaining balance. The Solve for Missing Number calculator allows you to enter your known values and solve for the missing payment amount, loan amount, interest rate or amortization period. Quickly create not just loan payment tables but five different grid configurations allow you to quickly see at a glance the impact of loan amounts, interest rates and payment amounts. Detailed reports are available that will allow you to see on paper varying levels of detail on the loans, schedules or grids stored in the system. QuikCalc Amortization Home Edition's simple to use interface allows you to quickly generate accurate schedules. Order now and be up and running immediately.